TOKYO (Bloomberg) -- Toyota Motor Corp. will increase the price of steel it sells to suppliers by 12 percent in the second half of this fiscal year, three people familiar with the matter told Bloomberg, lifting a benchmark used in the country's auto industry. The world's largest carmaker on Wednesday notified its suppliers of a plan to increase the price of hot-rolled steel by 8,000 yen ($81) a ton to 74,500 yen ($757) in the October-March period from April-September, according to the people, who asked not to be named as the matter is private. 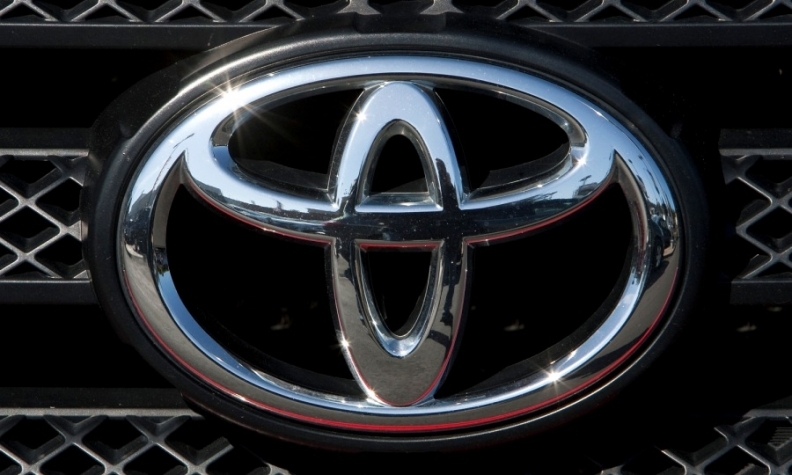 Ryo Sakai, Toyota's spokesman in Tokyo, declined to comment on the price increase. Toyota buys steel in bulk and resells it to its network of auto parts makers for use in production partly to help the suppliers cut costs and reduce the risk of currency swings, according to researcher IHS Automotive. Smaller steelmakers in Japan typically use Toyota's steel price to suppliers as a reference for their own negotiations with other buyers in the auto industry, said Takeshi Irisawa, a Tokyo-based analyst at Tachibana Securities Co. The price increase shows that Japanese exporters and their suppliers are sharing some of their gains from a weaker yen resulting from Prime Minister Shinzo Abe's economic policies. In contrast, steel producers are grappling with higher import costs for raw materials. Nippon Steel & Sumitomo Metal Corp. reached an agreement with Toyota last month to raise prices by 10,000 yen a ton, the first increase in two years, for the first half of the year ending March 2014, the Nikkei reported in July, without saying where it obtained the information. The two companies declined to comment at the time. Toyota suppliers bought steel from the carmaker at a discount in the past two years, after the 2008 global financial crisis eroded car demand and Japan's 2011 earthquake and tsunami disrupted supply chains. Toyota offered a discount of 8,000 yen in the April-September period compared with the second half of the previous fiscal year, the people said. The carmaker raised its profit forecast for the current fiscal year by 8 percent to a six-year high of 1.48 trillion yen, it said Aug. 2. Last quarter, profit almost doubled to 562.2 billion yen, or 27 percent higher than the average of four analyst estimates compiled by Bloomberg.